Photo by CC user giulianfrisoni on Flickr. If you like to start your day with an energizing hot beverage (and who doesn’t?) but are concerned about the negative effects of caffeine, there are alternatives. Steve Sorensen and the team at Crui Bru have developed a coffee alternative with all of the recognized health benefits of cacao – a known superfood high in antioxidants and theobromine – and none of the negative effects of caffeine. Stress and Jitters – Anyone who has had one cup too much of coffee in the morning is familiar with the jittery crash that can make you feel anxious for hours after. Heart palpitations, headaches, and a general sense of feeling shaky and anxious come with too much caffeine – and they can also come with too little caffeine as well! Caffeine is addictive, and once you are hooked, you need to get your dose or suffer the consequences. Mood – Caffeine stimulates the production of the stress hormone cortisol, which is partly responsible for the rapid heart beat and physical feeling of being tense. Not only is this a miserable way to feel, but it also contributes to digestive issues because your body is primed for a “flight or flight” response and is diverting energy away from “non-vital” processes. Moreover, cortisol is responsible for the storage of fat around your waist. Even if caffeine doesn’t directly affect your mood, a stubborn spare tire might. Digestive Issues – As mentioned, caffeine can interfere with your digestion. This can have a few negative consequences. On the one hand, caffeine acts as a laxative that can have you running to the bathroom. On the other hand, because caffeine can cause your stomach to empty too quickly into the small intestine before being completely broken down your bathroom breaks can become quite painful and you could find that you suffer from a deficiency of certain vitamins and minerals due ot the effects of caffeine on your digestive process. These are just some of the negative consequences of caffeine. Perhaps you might be willing to put up with the negative consequences of caffeine because of the undeniable boost of energy that comes with the first cup everyone morning. Many people depend on that to help them start their day. Thankfully, theobromine is found in high levels in cacao, and is currently used to reduce blood pressure because if its action to dilate blood vessels. There is also evidence that it hardens tooth enamel, and research is underway to test its effectiveness as a cancer treatment. But most importantly, theobromine has an effect similar to that of caffeine in terms of encouraging wakefulness, but it does not contribute to the “jitters” that many people experience. 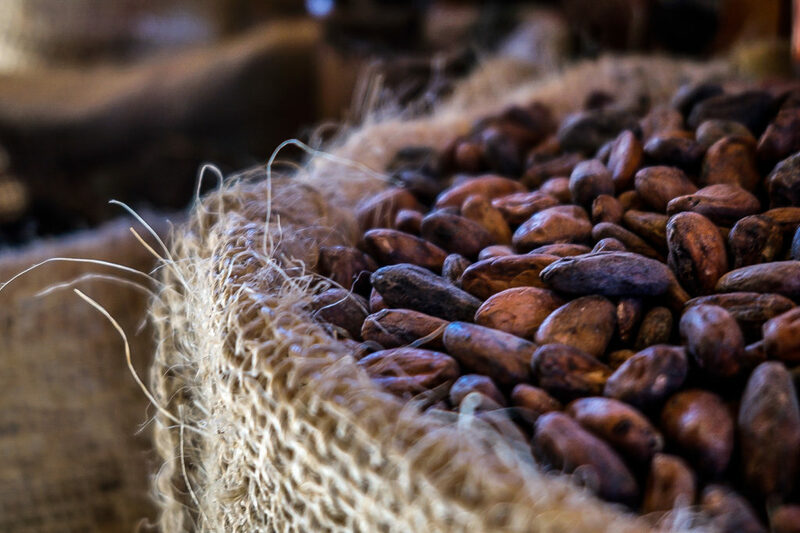 The team at Crio Bru has developed a roasting process that preserves the health benefits of cacao, including the energizing properties of theobromine, making Crio Bru an obviously choice for your morning beverage. Earthy and chocolaty, Crio Bru is brewed just like your regular coffee in a standard drip machine or French press. It can be taken black, or with cream and sugar. So, if you are ready to ditch the caffeine in favor of a gentler and more healthful way to energize your day, be sure to look for Crio Bru!